There are few things more discouraging as a parent than watching your child suffer with a problem you know you can’t solve for them. You might have to watch your child go to the first day of kindergarten with their eyes wide with fear and tears. Perhaps you have to see them deal with peer rejection, a failed test at school, or even something as serious as the loss of a loved one. Life hurts sometimes. It hurts for everyone and there’s no getting away from it. Pain and distress are virtual guarantees even if they are a minority of our experience, thus, in order to make it through life we must also learn how to cope with its harder parts. As apparent as this might be for adults, we sometimes forget that children are still coming to grips with this reality. Children experience adversity, setbacks, and dilemmas much as adults do, yet they are inherently less experienced at coping with such challenges. So often, I see parents bring their children to therapy and say “I can’t get my kid to calm down” or the parent expresses frustration about their child experiencing tantrums, emotional explosiveness, or other forms of misbehavior. 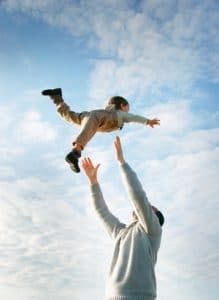 When the parent and I discuss the broader context of the child’s life, circumstances, or potential challenges they are facing it is usually apparent that the child feels lost or misguided on how to cope effectively. I’ve even observed parents say to their children “settle down” or “you need to relax,” but when I ask the parent if they’ve ever guided their child on the steps to take to actually calm down, many admit that they don’t in fact walk the child through this process. I can speak from my own experience of parenting that sometimes we expect our children to know how to do sometime seemingly basic like “relax,” yet we’ve never really explained how to do so. When I’ve asked parents how they cope themselves, some have acknowledged they really don’t know how to either. How can you teach anyone to do anything if you don’t know how first? It is crucial that we develop a coherent and effective strategy for coping with out own problems while also considering how to spell this process out for the children in our lives who are almost certainly less experienced than we are. Creating a strategy for coping can look different for everyone because we all have different needs, interests, preferences, and thresholds for stress. I will highlight some of the most basic and yet effective skills for relaxation and emotional endurance with the goal of showing application for both children and adults. Many of these techniques are useful to people of all ages and the modifiers I add are for guidance only. Use what works for you even if you find yourself using the child technique while your little one prefers the adult technique. This is by no means an exhaustive list, so feel free to build off of what you see here to create your best and personalized collection of techniques. Deep Breathing (Adult): Slow your breath so that each inhale takes roughly 5 seconds and each exhale also takes about 5 seconds. Fill your diaphragm or midsection area up like a balloon during inhales, and deflate it during exhales. Allow your thoughts to focus on the sound and feeling of breath entering and leaving your body while letting other thoughts or worries float by. Breath slowly for at least one minute or more and you should notice physiological changes (lower heart rate, relaxed muscles, etc.) that should promote calmness. Exercise Channeling (Adult): Exercise can help give your pent up emotional energy someplace productive to go but you must ensure you do this safely. First and foremost I suggest choosing a workout that will actually do. Exercise channeling works for weight training, cardio, or athletics but ideally you want to raise your heart rate and/or cause some burning in your muscles. As you do your workout, imagine your intense emotions as part of the energy you will be burning during your workout. Channel this emotional energy into your movements or muscles as you exercise. If you are angry, run angry. Anxious? Use that anxious jitteriness to do an extra rep or push yourself one minute longer during an endurance workout. Channel your emotions until you are physically exhausted and then enjoy the feelings of relaxation that come after the workout is over. 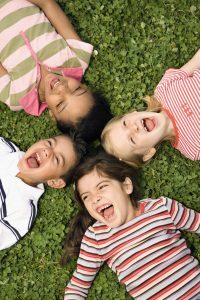 Shake Your Feelings Out (Child): Children and adolescents can also use this method of channeling emotions productively, and are usually happy to do so when this is framed as play. Have your child find a safe open space and then have them run, jump, and/or “shake their feelings” out much how I described above. Make a game of it if needed (tag, backyard olympics, obstacle course, etc.) and remind your child to run or play until the feelings or body sensations subside. Sometimes children can’t name emotions but can say their stomach feels tight or their brain feels fuzzy. That is okay, as long as they have something they feel is uncomfortable that they can channel into physical exertion. Daily Mindfulness (Adult): Many individuals say they don’t have enough time in the day for activities such as meditation. My suggestion is to integrate mindfulness into daily activities/obligations such as chores, eating, bathing, etc. Don’t have time to stop doing dishes? Change the nature of the activity by using your five senses to bring your focus to sensations that would otherwise go unnoticed. Notice the feeling of your hands dipping into the warm sink water while washing dishes. Notice the smell of the soap and the glistening of the bubbles in the soapy water. Pay attention the sounds of dishes clinking or water splashing. All of these sensations are going on while you complete the chore anyway and some might even be pleasant and relaxing. Another example is to use your five senses to take a mindful shower or eat a meal mindfully. Simply draw your attention to your senses and try to enjoy or at least “take in” the experiences your senses give you during an activity. 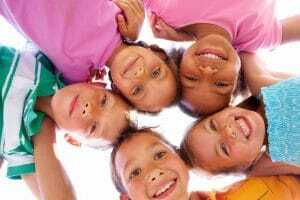 Mindful I Spy (Child): Children can utilize mindfulness as well, but they might need prompting or someone to participate in the process with them. The core activity is the same in terms of your child drawing attention to their five senses, but I make it into a game (I Spy). You and your child take turns pausing to notice a particular sensation during any number of activities. For instance, if you are taking walk you might notice a bird singing in a nearby tree. You announce “I spy a singing bird, can you spy it with me?” Your child then tries to see if they notice the same bird, and you are welcome to help them if they don’t see it at first. Another example would be using other senses such as hearing (“I hear wind in the trees, can you hear it with me?”). Take turns using each of your senses and inviting the other person to share the experience you notice. The key is to always pause and spend a few seconds taking in the sensation being identified instead of rushing off to name another sensation. Remember, this is not a competition as we are trying to slow things down for the child to facilitate relaxation and emotional settling. Peaceful Place Visualization (Adult): Begin by engaging in deep breathing while you then create a picture in your mind’s eye of a place (real or imagined) that is beautiful, peaceful, or soothing. It can be anyplace you like, but some examples might be imagining a waterfall scene, a beach, the mountains, or maybe a room or house you lived in that felt very good to you. As you create this picture in your head, try to add as many details to the scene as you can. Notice the colors that are in the scene as well as objects and lighting. As you continue to paint this visual scene with your mental paintbrush, imagine what sounds you might hear there. What smells or physical sensations are a part of the scene? These might include how the sun might feel on your skin or perhaps the feeling of water mist spraying from the visualized waves or waterfall. Engage all of your five senses when doing the visualization exercise and continue deep breathing for at least two to three minutes. You can do this exercise as long as you like, but when you are finished you should feel relaxed and renewed. My Happy Place (Child): This version of visualization is more geared for children, but the technique itself is largely unchanged. You child will also start with deep breathing and then they imagine their own version of the Peaceful Place, but I call this “My Happy Place” so the child feels ownership of their visualization. 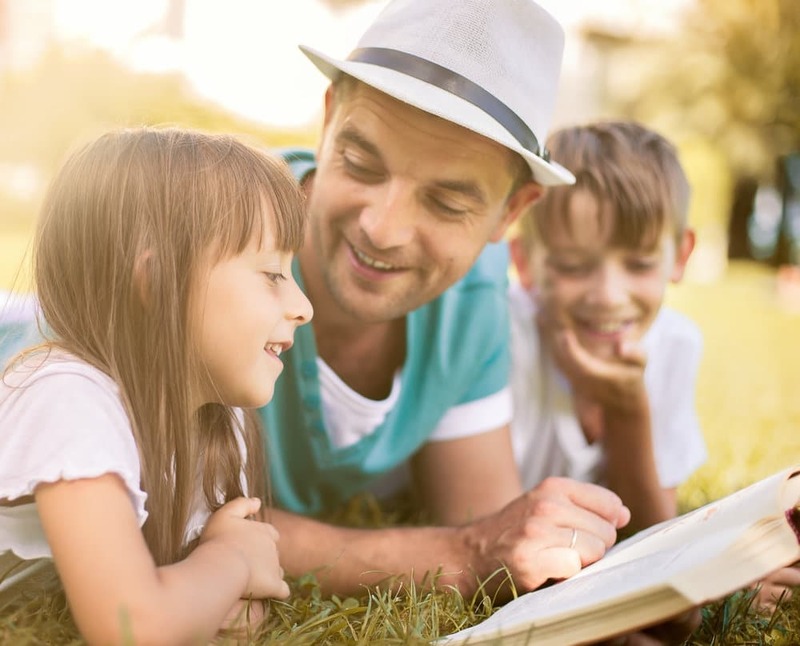 You might introduce this activity to your child by saying “What is the happiest and most wonderful place you can imagine, even if it’s make believe?” I have had children create scenes such as fantasy castles filled with stuffed animals, flower gardens with butterflies, or even their own bed with toys and books. The point is to have fun creating the picture of the Happy Place and then teaching your child to imagine what else is in there using all of their five senses. Children usually love to use imagination so this can be quite an enjoyable activity for them. This is just a small list of possible coping activities for mental, emotional, and even physical health. The larger point is that if we want ourselves and our children to be able to endure life’s struggles and have resources to persevere through adversity. You might not be able to stop every painful experience or emotion your child has, but you can teach them that they can overcome hardship in very real ways. For additional resources, check out our other blogs about useful coping skills that can be used by children and adults alike.